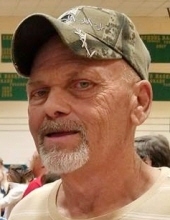 Mr. James 'Dwight' London of Greensburg, Kentucky, son of Julie Marie Whitlock of Glasgow and the late Mitchell London, was born on Friday, January 22, 1960 in Campbellsville, Kentucky and passed away Thursday, January 31, 2019 at his home. He was 59 years and 9 days of age. He had made a profession of faith in Christ and was a farmer. The funeral services for Dwight London will be conducted at 1:00 P.M., Central Time, Monday, February 4, 2019 at the House of Prayer in Edmonton with burial to follow in the Pierce Community Cemetery. Bro. Phil Lowry officiating. To plant a tree in memory of Dwight London, please visit our Tribute Store. "Email Address" would like to share the life celebration of Dwight London. Click on the "link" to go to share a favorite memory or leave a condolence message for the family.